Today was Wednesday, or hump day, so we humped the Lady Pamela II well offshore of Fort Lauderdale for some mahi-mahi fishing. We located a big sargassum weedline in 800 feet of water and began to troll. There were plenty of mahi around but we could not get them to bite. We did have success with the wahoo though, boating four really nice fish. 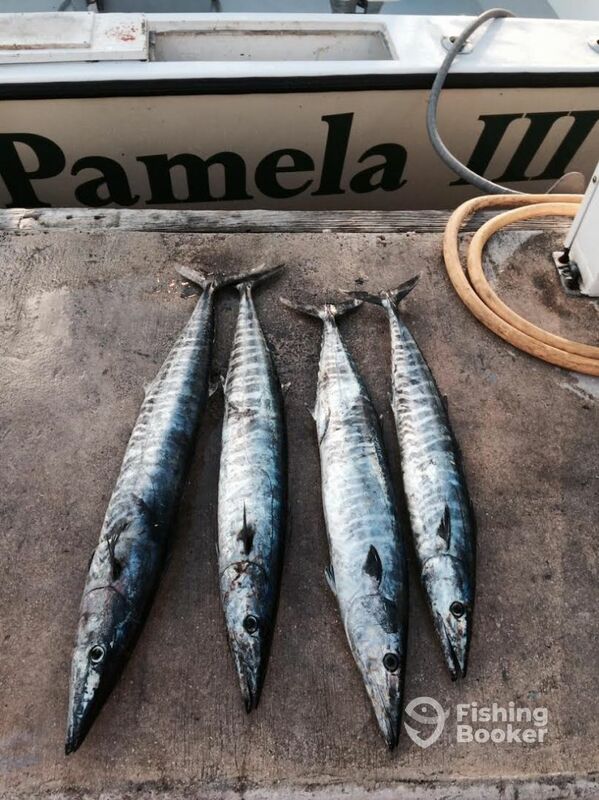 One of the other Lady Pamela II boats did well also, boating a big amberjack and a bunch of vermilion snappers.